If you have wondered “What are the best home or office removal companies near me?” read on. With help to organise your move, you will benefit from having time to focus on your family, partner or pets as well as receiving expert advice with packing, loading, moving, unloading and unpacking from removal companies near you. When you need to move house, dealing with local businesses offers numerous benefits. Choosing from the removals companies based locally near your home will certainly help to make your move easier. Naturally, as the date of the removal approaches, homeowners often feel a sense of anticipation and even uneasiness. Not to worry – with expert organisation and the right help from a local removals firm, the preparation and planning are much easier. As a result, on the day itself, any uncertainty and stress are kept to an absolute minimum. How much does a local removal company cost? Moving costs depend on two main factors: the load (i.e. the number and volume of possessions) and the distance involved. If you are moving from a one-bedroom apartment, a small or medium-sized van may suffice, whereas a three or four-bedroom house will probably require the help and organisation of a local removal company with a purpose-designed larger vehicle — and more staff. Similarly, a home or office move within the same town or city will cost less than a long-distance relocation. In addition to the scale of the planned move and, therefore, the number of helpers necessary, the other factors that influence pricing include the timing of the move and the accessibility of each home. Also, you may need to request extra services for fragile, bulky or heavy items that require special handling. Before selecting your removals company, it is a good idea to compare a number of quotations for services offered and price. 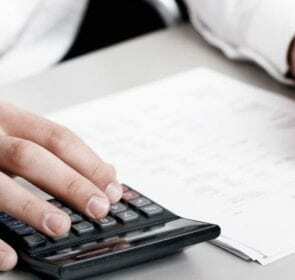 With our free quotes service, you can benefit from immediate savings of up to 40%. Fill in our form and receive up to six no-obligation quotations for local companies; the next step is to select the movers that suit your needs and budget. 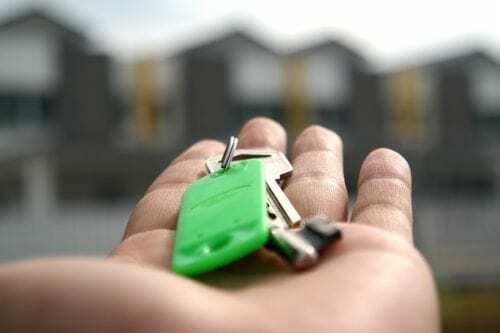 How do I find reliable removal companies near me? When planning a move, make sure to look for a local, reliable removal service with the correct credentials. The best movers are members of industry and professional organisations such as the NGRS (National Guild of Removers and Storers), BAR (British Association of Removers) or FIDI (an international federation, based on the French initials). With such accreditation, the company of your choice will have demonstrated that it complies with top quality standards. Customers often find that local movers are prepared to go the extra mile, as it were, to provide the best service in their catchment areas. Typically, a local company will tailor its relocation services to suit customers’ requirements and ensure the very highest standards of attention. As the homeowner, you benefit from reduced last-minute hassle and expert management of the logistical uncertainty that can occur when moving house. Local removers are often family-run businesses with decades of local history, so they are usually very accommodating and flexible. Their familiarity with the area means that they will not have to search for the destination, while they will also know the best road routes and tend to have lower operating costs than national chains. As a result, their prices are generally more affordable. As well as the option of storage in secure facilities, it is also possible to have assistance with dismounting and reassembly of furniture pieces, along with careful packing and unpacking. Alternatively, you may decide to do some preparation and packing on a DIY basis. Your company of choice will be able to supply suitable packing boxes, crates and materials, so it is well worth following their advice. Should you decide on this option, if you wish to speed things up during the packing and unpacking stages, it is best to label the boxes with a summary of the contents. 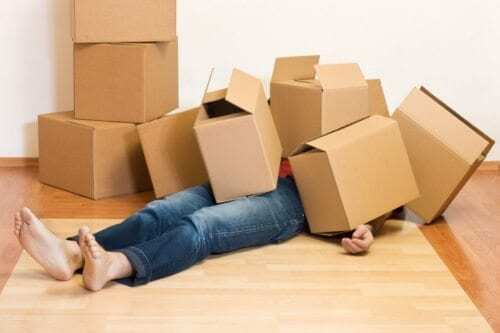 You and your chosen removals service may wish to organise your boxes room by room. Little-used objects can be packed first (and unpacked last), while those possessions that you are likely to use sooner (or more often) are better packed last. That way, it will be quicker and easier to find them towards the top of the box. Being able to compare quotes is incredibly useful when trying to find the best local company that suits your needs. If you would like to receive a competitive quotation for a fair price and a service that is right for your move, contact us today. We will be delighted to offer you a convenient choice of up to six local removals companies near you so that you can then make an informed decision for your planned move. Save time and money now by completing the contact form to see how you can benefit from savings of up to 40%.